How do I start getting ready for Back to School? 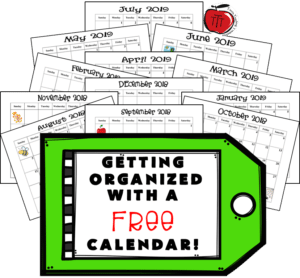 The summer is the time that I start getting organized for the upcoming school year. The very first thing I do is print off a calendar and start planning when I will teach what, based on the school year events/holidays. There are definitely some concepts I don’t want to cover (like division or anything with regrouping) when it is a busy time in the school and my students are not completely focused. Where do I find my calendar templates? I’ve got you covered! 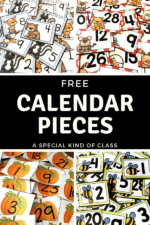 Every year I update my calendar to print off and I am giving it to you all for FREE! Yup, FREE! Check it out now. Each page has a full month and the spaces are large enough to add lots of text! 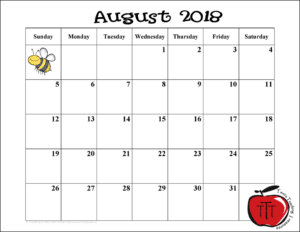 The calendars go from August 2018 to July 2019. Use it for yourself to take to staff or team meetings and schedule all your events and meetings. 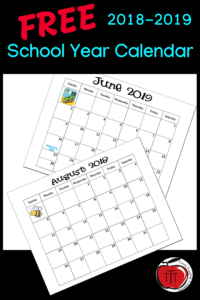 Attach it to your classroom newsletter with important events filled in. 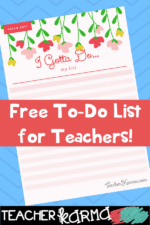 Fill it out with daily homework tasks for students. 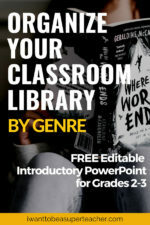 Students can use it to record their daily home reading. Display it in the hallway as a place for parents to sign up to volunteer in the classroom. Use as a student behavior chart. 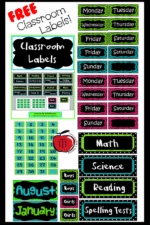 There are many ways to use a calendar in a classroom. Let me know in the comments if you use them in any other way. Click on any picture or here to get your FREE copy. Just print them out and you are ready to go.